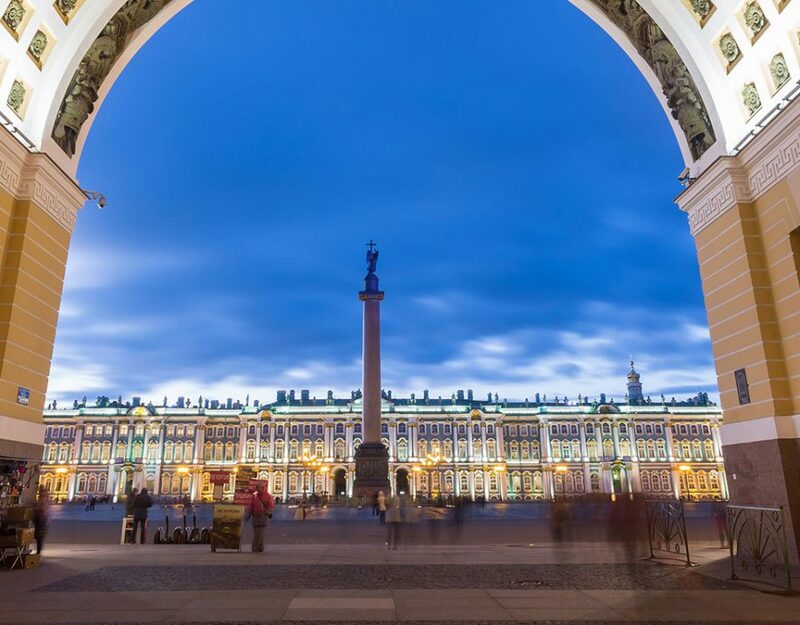 – see the city’s main attractions. 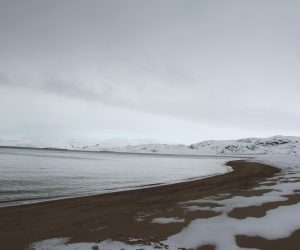 You will see nature of fantastic beauty: hills, rocks, tundra, thousands of lakes – those are just words, behind which endless impressions and emotions are hidden. 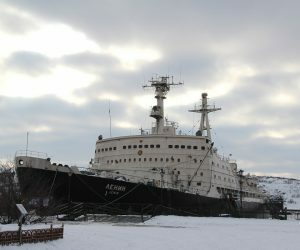 – see the first nuclear icebreaker Lenin and the “Alyosha” – a memorial to the Defenders of the Soviet Arctic in the years of the Great Patriotic War. – get acquainted with the cat Semyon and his history. 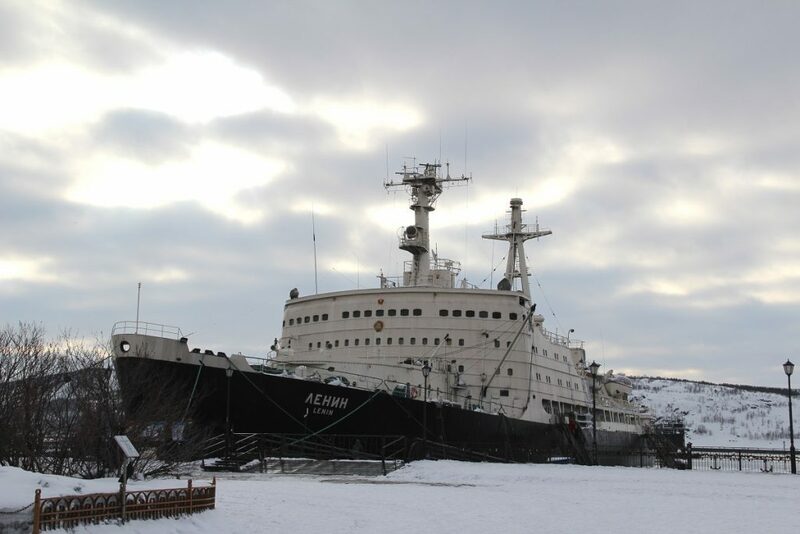 – take a look at the city of Murmansk from different sides and unexpected angles. After the city sightseeing you can relax and enjoy a good dinner at the hotel. However, the day’s program is not over yet. At 21.00 we will take you on a 3-hour Northern Lights Hunt (longer hunt (up to 8 hours) is available too; it starts earlier, so should you prefer a longer option, regular dinner will be replaced with dinner-boxes). 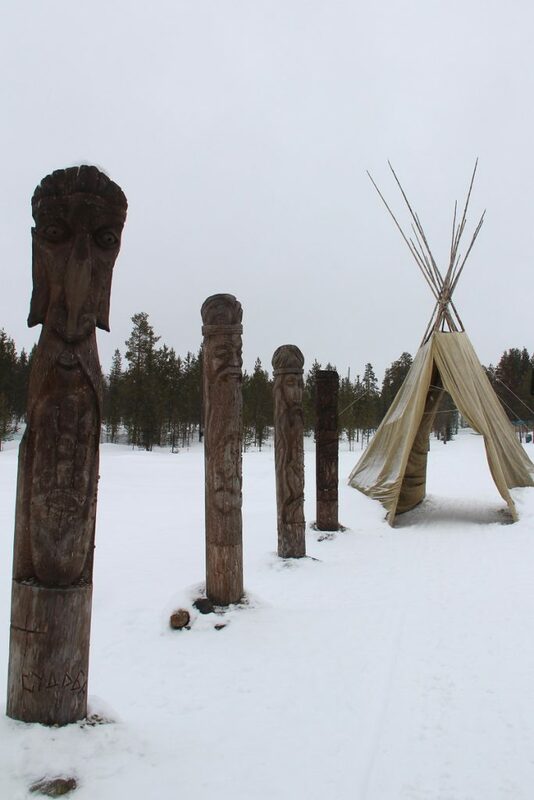 We will take you to a special place, located outside the city limits. That place is the most suitable for Hunting for the Northern Lights. En route you will learn everything about the origin of that amazing phenomenon, you will then be able to find it in the sky and even take a selfie against the background of the Northern Lights. Please keep in mind – it is a natural phenomenon and cannot be guaranteed! After the hunt, which will hopefully be successful, we will take you back to the hotel. 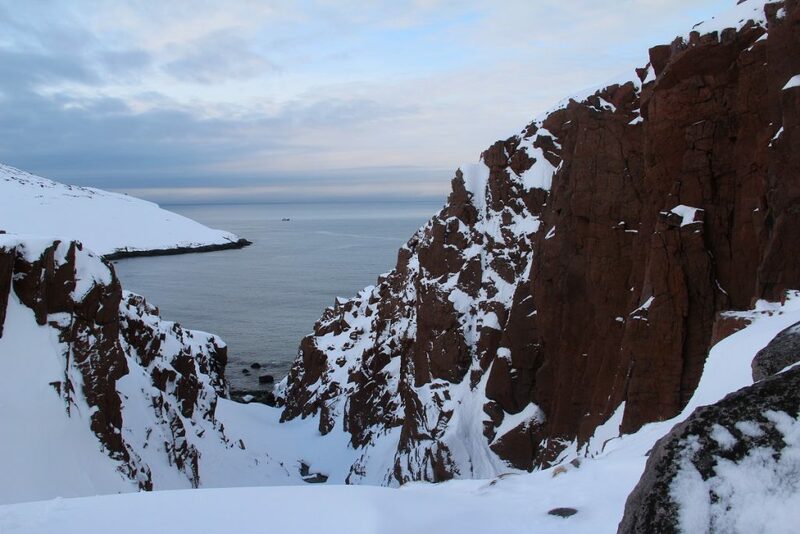 Today’s program features a tour to the cost of Artic Ocean (the village of Teriberka). It is bound to be an unforgettable trip. 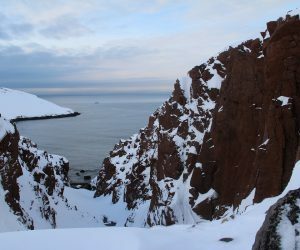 Our experienced guides will open the real magic and charm of the Far North for you. 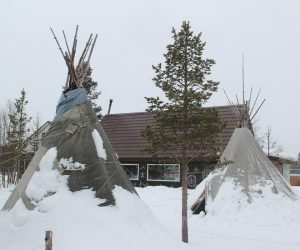 Only 120 km separates Teriberka from Murmansk, but the route itself provides a significant part of all the impressions of the trip. 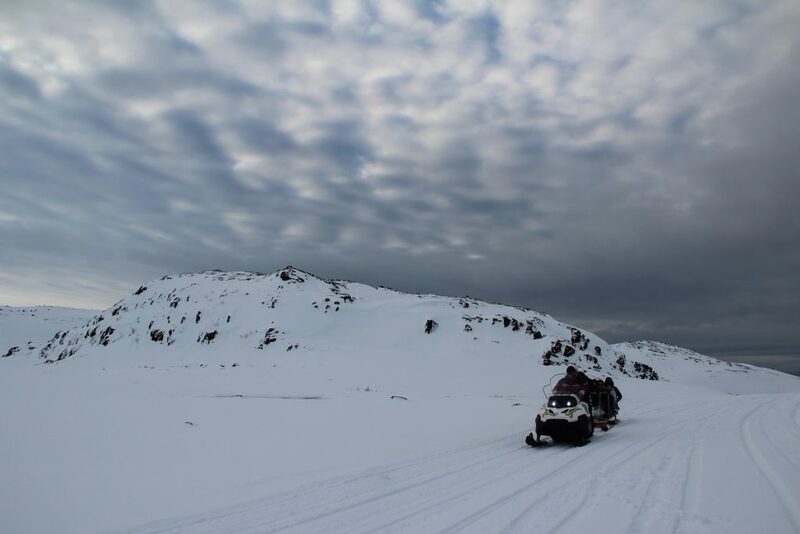 The road passes along stunning natural sights – the endless tundra, formidable hills and rocks, passes and gorges concealing hidden danger and beauty at the same time. 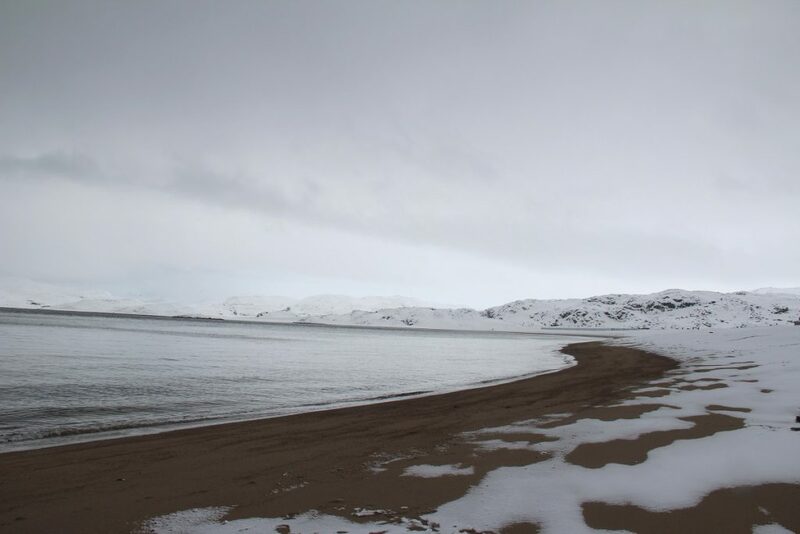 After passing through Teriberka, we take a snowmobile ride and continue our journey to the ocean coast. It fascinates, impresses and leaves no one indifferent. 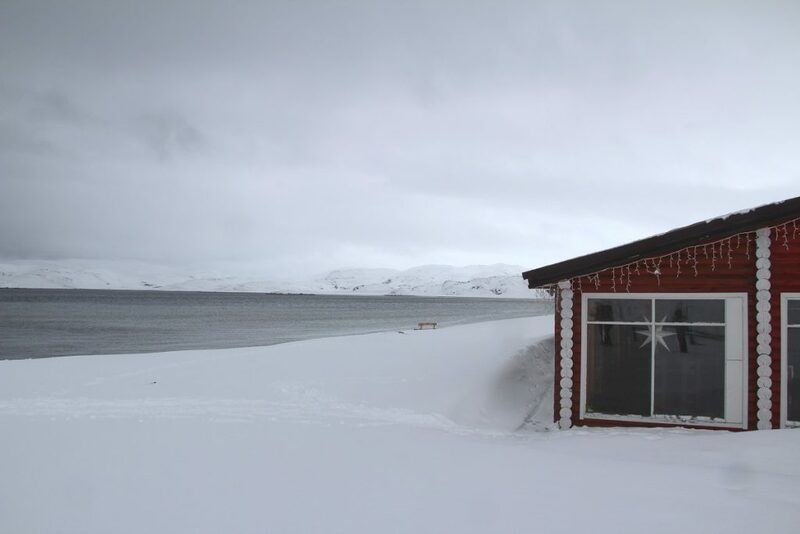 Waves, beating against the rocks, huge boulders along the coastline, and the idea that this is the End of the Earth … Next to you is only the ocean and the North Pole. 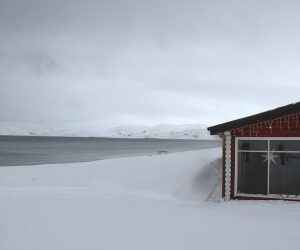 Before going back to Murmansk, you can relax at a cozy restaurant, located on a beautiful beach. You will have the opportunity to taste local sea food and enjoy a beautiful view of the Gulf of Teriberka. 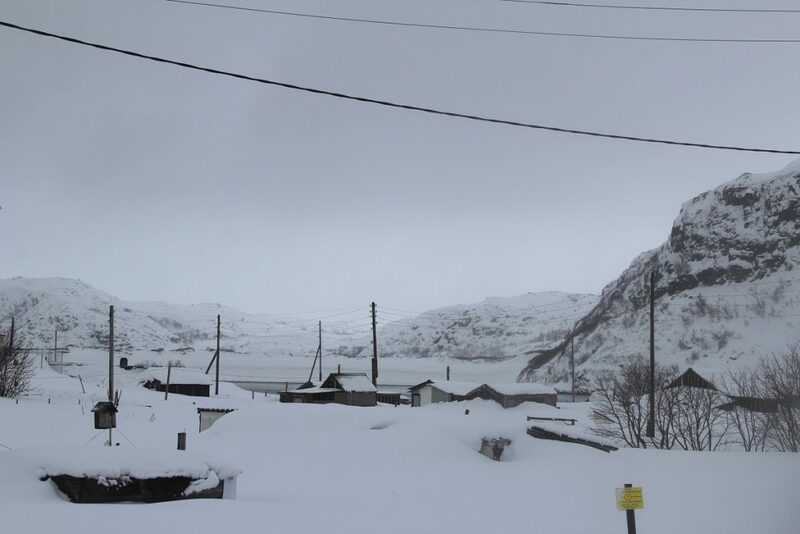 The road to Teriberka can be closed due to hard weather conditions. 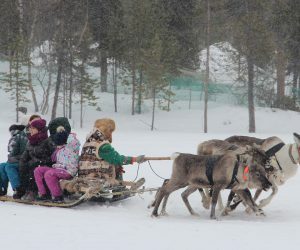 Should that be the case, we have an alternative plan – a trip to Snow Village. 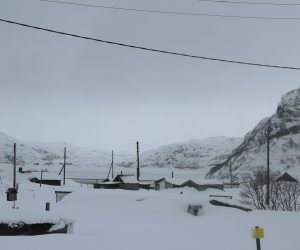 In winter and early spring there can be a lot of snow in Teriberka. 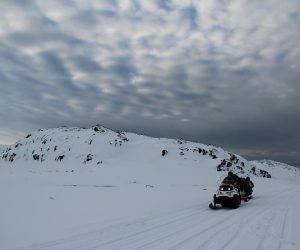 It may be necessary to book a sledge powered by snowmobile in order to have an opportunity to go to the Artic Ocean shore (it involves extra expenses and a pre-booking). Upon return to Murmansk and a dinner enjoy the second Northern Lights Hunt. 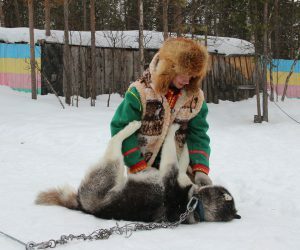 Meeting with your guide and transfer to Saami village or husky farm (the road takes around 2 hours). – visit the alley of majestic idols. You will see the idols of the four nature elements (fire, earth, water, air) as well as the idols bringing Love, Happiness, Luck, Fortune and Health. Idols like presents in the form of small yellow coins, and then they will surely fulfill your desires if you bring 6 yellow coins each for them. 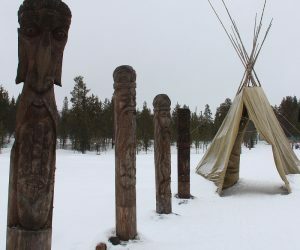 – play Sami games: the tug of the pole, “deer and wolves”, Sami football, just for men: throwing “nachala” (Arcana) on the horns of a deer, just for women: throwing willow rings. 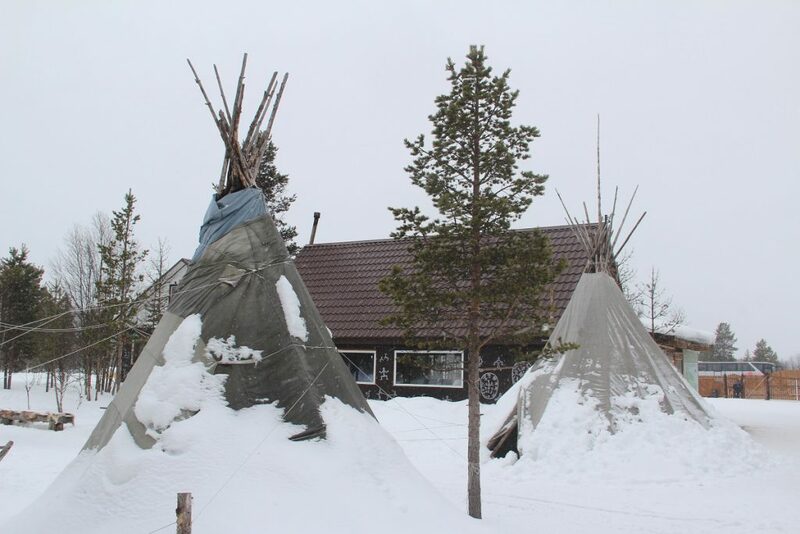 After the tour and the games you will taste the traditional Sami dishes during lunch. 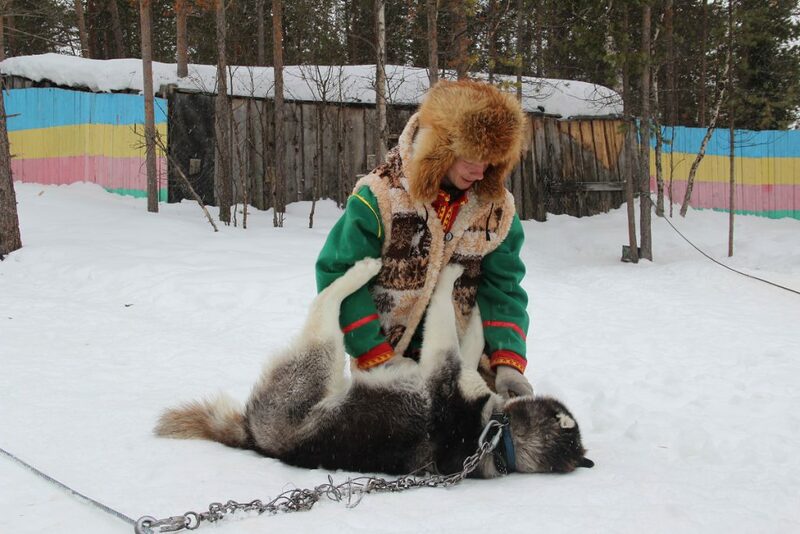 Visit to the husky farm to meet Siberian huskies and enjoy a husky ride (depending on the snow cover). 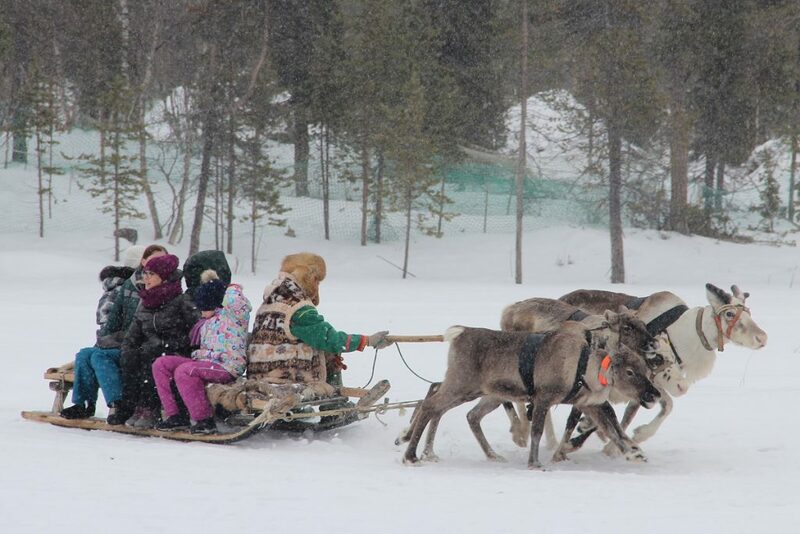 Then you will be taken back to your hotel for dinner and subsequent Northern Lights Hunt. 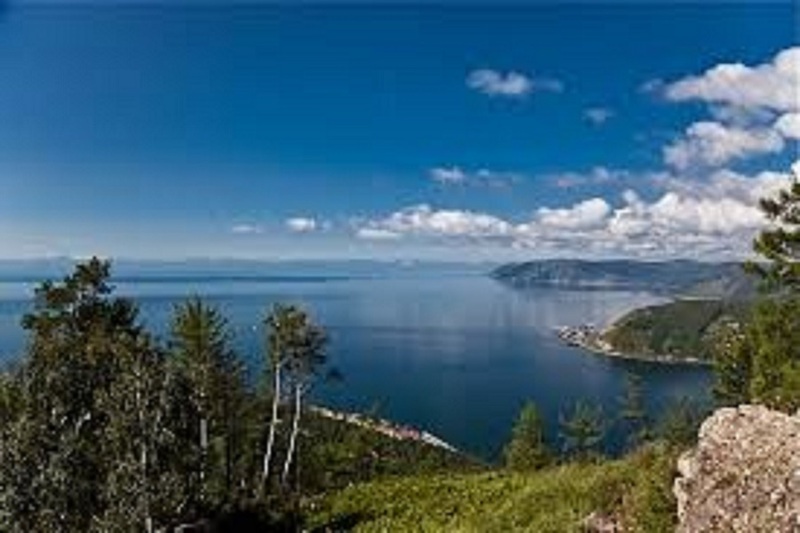 Transfer to the Murmansk Airport.